Brrr … if you’re located anywhere in the Northeast and parts of the Midwest, you know what I’m talking about: It’s freezing out there! 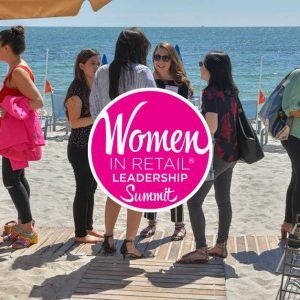 That’s why I thought it was the perfect time to get you thinking about registering for the Women in Retail Leadership Summit, taking place at the Ritz-Carlton Key Biscayne in sunny Miami, April 29-May 1. The Summit, now in its sixth year, is designed to enable women in leadership positions at retail companies to network, learn from each other, and improve business processes and strategies, all in an exclusive, white-glove environment. And this year we will be bigger and better than ever! We’re hosting more than 350 leading women retail executives for two-and-a-half days of content focused on executive professional development and retail strategy; inspirational presentations; one-to-one meetings with career coaches; pop-up shops; targeted networking; swag; and fun surprises! Amy Errett, founder and CEO, Madison Reed. For more information about the 2019 Women in Retail Leadership Summit or to obtain a conference pass, visit www.womeninretailsummit.com, or contact Jennifer DiPasquale at jdipasquale@napco.com or Melissa Campanelli at mcampanelli@napco.com.